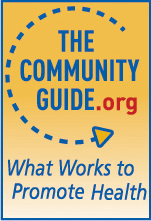 One of the persistent fallacies that I hear from medical students at my institution who are trying to decide between residency programs in internal and family medicine is that by choosing internal medicine, they can "keep their options open" to either become a generalist or to specialize, while choosing family medicine will close off all options except practicing traditional office-based primary care. In fact, nothing could be farther from the truth. If you choose an internal medicine residency, I counsel these students, the odds are overwhelmingly high that you will end up as a subspecialist (-ologist) at a tertiary care medical center. In contrast, the options available to a family medicine residency graduate are nearly limitless. Among my family physician colleagues are hospitalists, infectious disease and HIV experts, urgent care and team physicians; those who perform C-sections, colonoscopies, and appendectomies in the U.S. and throughout the world; teachers, researchers, guideline gurus, health system leaders, and public health officials; those who are comfortable practicing in rural areas, urban areas, and in every community size in between. 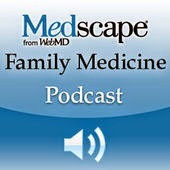 AM: Give the "What Is Family Medicine?" lecture to the new clerkship students. It's late in the 3rd year, but perhaps one or more can still be persuaded to "keep their options open" and fall in love with my specialty. PM: Attend a multidisciplinary panel meeting for the American Academy of Otolaryngology-Head and Neck Surgery clinical practice guideline on epistaxis (nosebleeds). Travel to Leawood, Kansas for a two-day American Family Physician editors meeting. Never in my wildest dreams as a medical student could I have imagined that I would become Deputy Editor of the second-largest medical journal (by print circulation) in the world, and the most monthly website views of any medical journal. 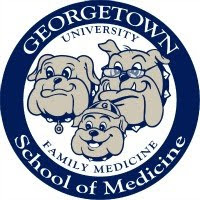 Attend the Society of Teachers of Family Medicine Annual Spring Conference in DC, where I am a co-presenter on two seminars and a scholarly poster. Travel to Lancaster, PA, where the following morning I will present Grand Rounds at my alma mater (Lancaster General Hospital Family Medicine Residency). Attend Georgetown's 2018 Teaching, Learning and Innovation Summer Institute as a member of this year's Technology-Enhanced Learning Colloquium for faculty across all university campuses.